Liam Coyne, MD/PhD student in the Department of Biochemistry and Molecular Biology, receives the President's Student Research Award from Upstate Interim President Mantosh Dewan, MD, during Student Research Day activities. Bea Grause, president of the Healthcare Association of New York State, with Upstate University Hospital CEO Robert Corona, DO, MBA. 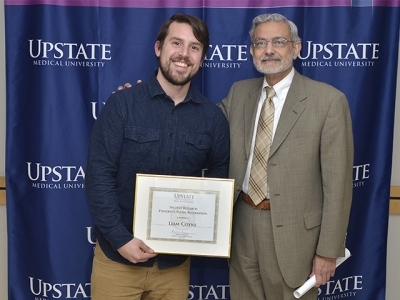 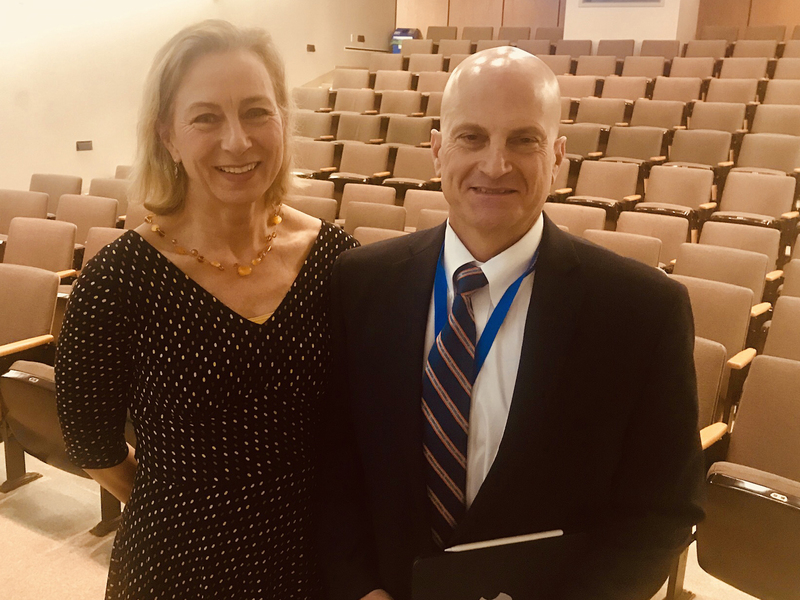 Grause recently spoke on the Upstate campus about the state of health care in New York. 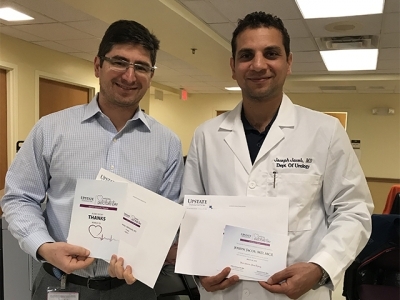 Recipients of patient plaudits on National Doctors' Day March 30 are urologists Dimtriy Nikolavsky, MD, left, and Joseph Jacobs, MD.